Have you ever hosted out of town friends? If yes, you’re all aware of the guest-host relationship. Generally, hosts are expected to overlook the fact their guests may make pots of coffee obscenely at early hours. Of course, residential cleaning services in Clermont FL are available to serve your cleaning requirements. Your guests don’t even mention that some areas of the host’s homes are filthy. Your home could be grossing out your guests, and they’re not telling you about it. So the next time you have overnight get together, use the below-discussed tips. From cleaning up food stains to dirty bathrooms – that make guests disgusted as motivation to clean up your home. You may have looked at the splatter on your range hood so long it seems like a decorative aspect, but your guests will think it’s downright nasty. No one wants to see the remnants of meals from last night. So make sure you clean grease off the stove top, wipe down the range hood and scour your oven door before the arrival of guests. Whenever you open your freezer or fridge, you leave behind dirt particles, sweat or whatever else is on your hands. You may not notice these smudges, but your guests will do for sure. Do everyone a favor and clean your refrigerator from inside out before the guests come knocking! Have you remembered the last time when you looked at your light switches? Just go ahead. More often, you flip a specific switch, more debris and oils your hands leave behind. The same goes for the areas on or around the doorknobs you use often. While this is a common fact that doesn’t mean you’re a dirty person, it can make your guests think that you don’t wash your hands. When you forget to clean the ceiling fans or wipe down baseboards, remember that dust doesn’t take a backseat. While you may not pay them attention, your guests will because everything is new for them. So, walk inside the house and look at it from a fresh perspective. Don’t forget to glance up, down and at wall décor. Unless you vacuum and wash pet spaces frequently, the odds are that there’s a pet stench infusing your home, even if you’re fast enough to keep them clean all the time. Deodorize your home so that you don’t need to scramble when the out-of-towners are on their way. Also, pay more focus to vacuum and wipe down the spots where pets like to hang out or sleep. Don’t have enough time to do the cleaning of your home to welcome your guests before they hire? Contact your Mean To Clean to provide residential cleaning in Clermont FL to make sure you don’t invite guests with grimy surfaces! Please feel free to contact Mean To Clean today and let us help you clean your home with great care and attention to every detail! Imagine you are planning to move out of your existing home and ready to move into a new home and you suddenly realize that there are dust and dirt all around. The floor, walls, corners and even your carpets and other upholsteries are covered with dust! Isn’t that a difficult situation to deal with! Whether you are moving out of your existing home or moving into a new home, making sure that your home looks clean, tidy and perfect is extremely important regardless of the fact that it is a condo, apartment or rental home. A clean and perfectly set home is always a necessity when moving in or out. Therefore, it becomes essential for you to hire a professional move in move out services and get benefitted by their services. This is because the professionals make sure to provide your home with a perfect and clean look. At Mean to Clean we offer high-quality move in move out services in Clermont FL that can be personalized to your specific needs. Our consistent and detailed cleaning services will remove all the signs of your occupancy ensuring a perfectly clean home for the next occupant. When you are moving into a new home, the pre-existing stains and spots will ruin your excitement. Similarly, when you are moving out of your existing home and planning to sell it then make sure that the floors are free of stain and spots otherwise that might affect the decision of the potential buyer. And when you hire our professional move in move out cleaning you get stain-free and spotless home. Moving is a hectic and time-consuming job especially the cleaning part. By hiring our professionals, the cleaning job gets more comfortable, so you remain stress-free. The moving to-do list has a lot of things in it. And systematically doing all that is difficult. But for our professionals, it is not! With their years of experience, they make sure your moving process is simplified. We provide move in move out services in Clermont FL for newly purchased homes, condominiums, apartments, vacation homes, rental properties as well as office spaces. Our comprehensive move in move out cleaning services ensures the complete satisfaction of our customers. Our services include emptying all trash, removing cobwebs, hand washing all baseboards, cleaning the interior and exterior of windows, cleaning the cabinets, pantry, and drawers, vacuuming all carpeted areas including all closets, steam cleaning carpeting, cleaning and wiping fans, fixtures, and vents, washing light switches, door frames, moldings, trim and chair railing, cleaning dusty blinds, curtains and drapes, wiping counters and appliances as well as cleaning and disinfecting bathrooms. Even the most excellent and most modern home might not impress your guests, if it was not spotless and comfortable. Our housekeeping service in Clermont FL is built to create guest’s happiness and satisfaction. We have professional housekeeping staffs responsible for making your entire home clean and hygiene. Our job responsibility and dedication always reflect more than what people think us at the beginning! The whole teams of our housekeepers have the same goal that makes your home spotless. When you or guests step to your room, housekeepers are the real people behind the curtain responsible for the wow-factor in your home. Here is why homeowners like our professional housekeeping services. Dreaded allergens, dust particles, dander or bacteria build up quickly in any home that has not well kept for months. It might cause health issues such as asthma or allergies. Hiring responsible housekeeping service is imperative to get rid of these issues and make your home tidy and clean. We help you make your home shine and never make you or your guests feel guilty of leaving your household in a mess. Questions may arise such as a home should clean weekly or bi-weekly or monthly? When it comes to ideal housekeeping services, the best choice should be hiring our bi-weekly housekeeping service in Clermont FL! Our expertise makes your home spotless, and you are at less risk of being exposed to allergens and dust floating throughout your house. 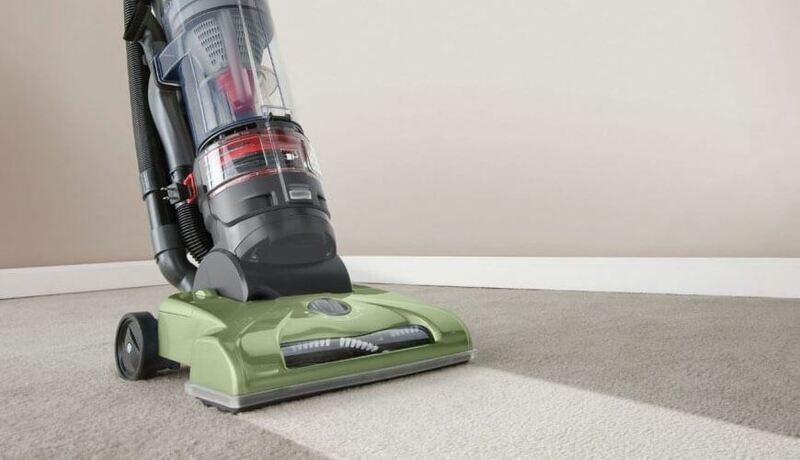 Our housekeeping service in Clermont FL vacuums two of the most crucial places in every home such as carpets and furniture’s. We help you prevent allergens from sticking to your carpet and furniture. Our housekeeping service in Clermont FL uses eco-friendly cleaning products that surely help you get rid of the dust, allergens, and dander permanently for longer. At Mean to Clean, we pride ourselves on giving our customers homes the best clean, every time. If you are looking for a dedicated housekeeping service, contact (407)614-3951 today and speak with one of our cleaning experts! Let us be honest: moving is the most horrible. You need to pack everything up, lease a moving truck, enroll an unfortunate companion to enable you, to move out everything from your apartment into the truck, battle Clermont traffic and then move everything into your new residence. Notwithstanding the expense, there are a million little details to monitor. It is nothing unexpected that some basic advances frequently fall by the wayside. Sadly, neglecting to do some essential errands amid your turn out can finish up costing you time and cash, causing numerous migraines for a considerable length of time after you’ve moved. 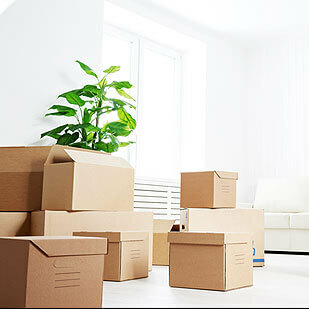 On the off chance that you need to maintain a strategic distance from probably the most widely recognized entanglements, try to deal with the majority of the accompanying errands along with having professional and affordable move in move out services in Clermont FL from us at Mean To Clean. There are various things that you need to do while moving out or in to a new apartment. One you hire us at Mean To Clean having our move in move out services in Clermont FL you can be certain that you will have the best of cleanliness. Nevertheless, there are some jobs that yourself need to do. Let us see some of those. Notice to your landlord: Most rents require no less than 30 days’ notice that you have no goal to re-sign, and are moving out of the flat. Most landowners will connect with you now, since they are anxious to know as quickly as time permits regardless of whether they ought to search for new occupants. Nevertheless, on the off chance that they do not do as such and you neglect to pull out you intend to move, they might have the capacity to charge you for an extra month’s lease. In the mean while we will complete the cleaning, offering professional move in move out services in Clermont FL so that your landlord does not have a way to complain. Change the address: At the point when the vast majority moves into another flat or apartment suite, they unavoidably observe the old inhabitant’s mail get through the entryway for the initial couple of weeks. Try not to give that a chance to be you. Before you move out, reach critical establishments, for example, your manager, bank, credit card organization, and protection supplier to tell them your new location. You would prefer not to finish paying a late expense or passing up vital data in light of the fact that your mail is setting off to the wrong loft. We at Mean To Clean cannot help you in this regard but can be your best friend to clean the apartment you are leaving or going to offering affordable move in move out services in Clermont FL. Cleaning isn’t all about fun. But there is nothing more distracting while trying to relax or get the work done in your home than being surrounded by mess. A cluttered apartment can lead to a cluttered mind and do you really need the additional stress in your life? This is why time requires to be set aside specifically for apartment cleaning in Clermont FL. Cleaning your kitchen mess can be pretty frustrating. It’s the last thing you want to do after a long day. Making cleaning jobs a lot easier is the right way to get through these tasks quickly and effortlessly. You should do the dishes as soon as you are done with your food. Don’t forget about the oven. As for stained tablecloths and mats, depending on what caused the stain, there are so many removal techniques. You can remove stains a lot of the time with things you have inside the house. The red wine stains can be removed by using white wine. Coffee stains can be removed with baking soda. Grease can be removed with soda and oil stains can be removed with the help of white chalk. You can make the shower heads and faucets shine again with the easy hacks. Just let the shower head soak in white vinegar overnight. You will be able to wipe away any grime in the morning. Similarly, scrub the faucets and sink with white vinegar. If you are looking for an awesome and effective way to clean your shower base, you should follow this technique. You can use empty shoeboxes as organizers and drawer separators. If you have so many clothes, you need to sort through them and hang multiple items on one hanger. Shoe hangers are perfect ways to avoid your shoes piling into a floordrobe. Keep them on the back of a closet door for enough storage space. If you are looking to save money, make great shoe storage also. Though less aesthetically appealing, you can keep them underneath your bed or tucked away at the bottom of your wardrobe. Try to brush hair out of carpets using rubber gloves. It must do wonders for stubborn carpets and even better for pet owners. If you have wood floors, the swiffer slippers will dust without you even reality. They will keep your tootsies cozy and warm. Apartment cleaning doesn’t need to be a chore. These are just a few cleaning hacks you should consider to make your apartment clean and tidy. No matter what, it will help you keep on top on top of grime and mess. Mean To Clean offers apartment cleaning services in Claremont FL to make you proud of your apartment and the way it looks. To schedule our apartment cleaning in Claremont FL, please visit our website and contact us online! You must agree that having a clean and safe place to stay or work is of utmost necessity. This becomes more predominant when flu and the cold season begin and people get affected by diseases. You may be depending on independent janitorial providers to offer cleaning but it can certainly be said that they quite often lack standardized cleaning practices, techniques and follow-through. So, what is the other way out? The one and the only way out is to have the best of Commercial Cleaning in Clermont FL from us at Mean To Clean. Yes, the question that may be bothering you is how we stand out from the rest. Let us have a look at what makes us different from the rest of cleaning organizations in Clermont, Florida. Mean To Clean is a fully renowned and insured cleaning company, provides comprehensive ranges of cleaning solutions to residential, corporate, and commercial clients in Clermont. Being a reliable name in the cleaning industry, we focus on diligent management and superior standard cleaning assurance going above and beyond client’s requirements. 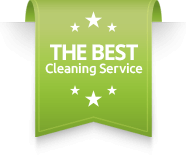 The professional and quality standard makes us the one that you must rely on to have the best of Commercial Cleaning in Clermont FL. We not only use the modern types of equipment and methods but also our staffs are well trained to handle them effectively to offer the best of cleaning. You name a nature of cleaning and we are ever prepared to offer the best. Our services range, from apartment to commercial cleaning along with carpet, after renovation, move in and out and window cleaning. We are the one in Clermont that use the super technology to clean your space. We use advanced equipment and technology to remove the germs, dirt and grime from your space making it a safe place to stay at. You can expect to have specialized services from us. We offer cleaning services which cannot be offered by any other service providers in Clermont. The Commercial Cleaning in Clermont FL that we offer will be customized according to your convenience. Your daily job will not have to be compromised in any manner when you have our services. The services of ours will also enable you to save money. Our rates are affordable – so you do not have to have a hole in your pocket while having our services. Mean To Clean aims to be a leading cleaning company by providing high-quality cleaning solutions to clients at affordable prices. If you wish to have such nature of professional and affordable Commercial Cleaning in Clermont FLlet Mean To Clean do that for you. You can easily contact us and get a quote by calling us at (407) 614-3951. About contracting an expert to clean your home, you will need somebody you can trust to complete a spectacular employment at a reasonable cost. In any case, how might you make sure you are employing the correct organization who can offer best of residential cleaning services in Clermont FL . We at Mean To Clean will satisfy all your queries pertaining to cleaning services. The cleaning product we use: Most organizations utilize their own items – and not yours. You will need to make certain that whatever items they utilize are OK to have in your home and will not harm anything. It is additionally vital to make this inquiry on the off chance that you have hypersensitivities or pets. We at Mean To Clean use eco-friendly cleaning products while offering residential cleaning services in Clermont FL. We utilize the top-quality, natural cleaning products to deliver amazing results maintaining a healthy ambiance. Client oriented services: Mean To Clean is best known in Clermont FL for offering customized residential cleaning services in Clermont FL. We are highly dedicated professionals to serve our clients like ourselves. We value our client’s feedback and strive to improve our work. Transparent proposal: We at Mean To Clean are be able to offer you with a transparent estimation for the residential cleaning services in Clermont FL that you desire so that you have an idea what would be the actual cost of having our services and whether it fits your budget. As we are transparent, there are no hidden charges involved. You will be paying the amount that has been settles at the inception of the job. Years of experience: Our professionally trained cleaners specialize in removing the dirt and grime so that your residence looks spotless all the time. For the last 10 years, we have been providing top quality residential cleaning services in Clermont FL that homeowners desire for. Affordable charges: We make sure you have the most satisfactory professional grade residential cleaning services in Clermont FL on demand. We are to train our residential cleaners in all aspects of house cleaning so that you will find them to be efficiently cleaning and worth trying out. Our cleaning packages can be custom tailored to allow you spare your time for family and a sparkling house to live in all the time! Most of us would prefer to avoid or want to have it done through others when it comes to moving in move out services. Shifting to a new area, getting the kids acquainted with a new area and the overall adjustment can be stressful. We are here to take the burden off your shoulders with the move in move out cleaning services. Our expert team offers our very best service making your move from your former residence to the new one worry-free transition. Shifting to a new home is always exciting but on the other hand, it is also stressful and exhausting irrespective of good planning. Why not skip the time, effort, and extra rush of moving out of the old place with the help of a reliable move in move out services Clermont FL? Spotless home or apartments with sparkling floors, interiors, windows, spotless kitchen, and baths make a big impact not only for the tenant and their family members but also for homeowner or the property manager as well. The home must be handed over in the same way while leaving the home! We offer you a detailed and extensive move in move out services in Clermont FL service, making sure you have a happy move. Move into a new home or apartment that’s clean and tidy right from the start is the thing that both tenants and the homeowners or property managers always wishing. Our skilled and professional move in move out cleaning specialists thoroughly cleans and prepares the home or apartment for the next occupants. Our cleaning staffs are vetted and well-trained, following the highest standards of move in move out cleaning services with attention to detail. We finish our job as per our promise and also on time that surely fit your schedule for a smooth move! We’ll follow our detailed checklist and also go with yours to make your home sparkle. We understand what homeowners want to see! Our move in move out services job is truly exceptional and the landlord or landlords have no viable reasons against refunding the caution money after our meticulous cleaning services. Enjoy your move more by hiring our environmentally friendly cleaning practices. We do what we promise to do! With thousands of satisfied customers, we assure you a guaranteed move in move out services Clermont FL. As old saying, the first impression remains forever! We work hard with this concept and strive to offer you an impressive result assuring you won’t regret! Are you anticipating a move in or moving out in the near future? Let our experts handle your job responsible details. We look forward to easing your moving in or moving out stress any time you call us. If you are a business owner and you just have finished renovation work for your commercial space, there is an after renovation cleaning services is needed to restore the previous look of that space. Needless to mention, there are gigantic amount of fibers and other construction garbage, would pile up after departure of the builder. You can’t certainly resume all your operation with these piles of garbage and they need to be cleaned up immediately. This is where calling a professional after renovation cleaning services, will be the best way to move for. Now, you may ask, where to hire professionals to this mere but essential job as other workers can do it by their own experience. There are a bunch of benefits to have while hiring after renovation cleaning service professionals. Save time– After end of the construction work, the piles of garbage create stress and while you are dealing with so many clients including hundreds of workers, you may not want to lose business hours. To accomplish this target, these garbage piles need to be cleaned within little period of time. While you’ll hire professionals for this job, your job will be done with well manner without any stress in short period. It is not possible with the people those are immature in this field. High standard cleaning- We at Mean to Clean, make you sure that, you’re after renovation cleaning job will be done in highest standard without leaving any single spot that would attract bad impression. We understand your problem and using our experience, we’ll do it with a high note. We have decades of experience in after renovation cleaning services in Orlando Florida and a huge consumer base, so that, if you are in a need to clean up your commercial or domestic spaces after renovation, it will be a smart decision to choose us. High standard cleaning supplies – The products using by our experts, are generally come with high standards. This is the reason; they will leave your home and precious home equipments in better condition. Plus, we do clean the home without damage, in this way; even you won’t see a stain after this clean up. All most all professionals are aware about the hygienic factor and we won’t leave any toxic or chemical signature in your home. Mean to clean be always committed to your health so, we use eco-friendly products to clean up your home because they don’t have any side effect to your family members. Never Clean your House anymore ask me how!